A settlement has been reached between the Kentucky Attorney General and Johnson & Johnson regarding the schizophrenia drug Risperdal. The lawsuit was originally filed with allegations that the pharmaceutical giant and its subsidiary Janssen Pharmaceuticals hid some of the drug’s side effects from consumers, while marketing it for off-label use outside the realm of FDA approval. The lawsuit listed side effects found to specifically to put children and elderly patients at risk. 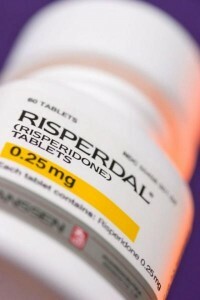 Risperdal was first approved by the FDA in 1993 to treat schizophrenia in adults. Approval of the drug was extended to children in 2007, also for the treatment of schizophrenia. However, this lawsuit and others like it, have alleged Johnson & Johnson and Janssen actively encouraged physicians to use the drug off-label for children long before approval was granted. In addition, the companies marketed the drug for treating other conditions off-label, including ADHD and autism spectrum disorders. During its marketing blitz, Janssen failed to disclose the fact that Risperdal use could cause a hormonal imbalance that could lead to breast growth in male patients. Known as gynecomastia, this condition can be devastating on an emotional level for boys, destroying their self-esteem and leaving them vulnerable to teasing and bullying. Often, the only “cure” for gynecomastia is surgery to remove the excess breast tissue. Janssen also marketed Risperdal for off-label use in elderly patients to treat the symptoms of dementia, even though the FDA never approved the drug for this purpose. According to the Kentucky litigation, the company even created an “elder sales force,” despite a study that indicated the drug could increase the risk for death in elderly patients. That risk was not disclosed to the general public until 2003, even though studies had shown this risk as early as 1997. The Kentucky litigation also targeted the fact that Janssen marketed Risperdal as having a low risk for weight gain and diabetes, making this an attractive option to other anti-psychotic medications that did have these potential risks. However, internal studies by the company indicated that Risperdal had the same risk for weight gain as other anti-psychotic medications. The financial settlement totaling $15.5 million will go to help fund addiction programs in the state. The settlement will also restrict the way in which Johnson & Johnson and Janssen can market Risperdal in the state in the future. For example, the company is now prohibited from marketing the drug for use in populations that have not been approved by the FDA. The company will also be restricted from marketing the drug for a single condition not included in FDA approval, such as depression. The Kentucky settlement is not the only litigation to involve Risperdal. In 2012, the company settled a case for $158 million that alleged they were improperly marketing the drug in that state. In addition, hundreds of Risperdal users have filed lawsuits against Janssen and Johnson & Johnson, claiming they were unaware of the side effects associated with the drug, particularly male breast growth. More than 1,600 of those Risperdal lawsuits have been coordinated into a mass tort in Philadelphia court at this time.